Will my hot chocolate cool down faster if I add the cold milk now or later? Will ketchup flow faster if it's stirred first? Taking first place in the science fair has never been so much fun! These biology, chemistry, and physics experiments, devised by a real scientist and former high school chemistry teacher, really rock. That's because each activity answers questions that actually fascinate kids--whether they're exploring the laws of motion by smashing eggs against a wall, learning how to use diapers to prevent fire, or going "Supersonic" as they measure the speed of sound. Also, there's great advice on designing your own experiments, catching errors that could affect the results; and presenting the project so that it will impress the judges. Though our daughter is only in first grade and is not required to participate in the science fair, we asked her if she'd like to, and she said yes (she is curious about lots of things). So, the next thing was to find a topic. 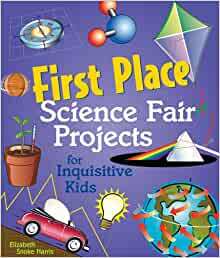 I looked up several books that contained science fair project ideas, more to get us thinking about different subjects and ways to approach a topic than to merely duplicate a project found in a book. This book fit the bill nicely. It contains lots of ideas for projects, and gives tips on science fair basics at the beginning of the book - picking a question, developing a hypothesis, documentation of research, ticking off items on a checklist, getting a display board/ backboard and putting it together, and of course, presentation. The projects are divided into three main branches of science, i.e. Biology, Physical Science, and Chemistry. Some of the experiments do seem quite basic and uninspiring, but many others are unique, interesting, and will get children excited and talking about science, which is ultimately the purpose of a science project. Now, the organization part of a science fair project can appear daunting at first, but if planned out in advance (I'd recommend at least 4-8 weeks ahead of the due date), it is actually not so bad. Each experiment featured in this book is organized thus: Experiment Summary, What You Need, Experimental Procedure, Conclusion, Take a Closer Look (provides additional information that can help with research), and What Else Can You Do. The book is an invaluable reference tool for beginners and also for those seeking new ideas for a science fair project. 4.0 out of 5 starsmy kids like it. I purchased this for my children. My kids liked it and used it. The only reason I didn't give it 5 stars is because I myself did not go through it nor use it. 5.0 out of 5 starsGreat help for kids! Great book! Full of awesome project ideas. Loved this book for science fair experiments. Well laid out and lots of illustrations. Very easy to read. Best part of this book: the way the projects spell out how far in advance you need to start (rough minimum: 8 weeks). Thank you! When dear old Mom says it, it doesn't get the same results as when the BOOK says it. 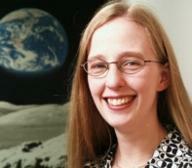 Very good tips for setting up displays and writing up the project, plus how to behave at the science fair. But these projects work for a general family fun environment, too --even without the goal of competing in a science fair, these ideas let your kids explore. Fun for summer learning, and for homeschoolers. Some of the projects are familiar and seem like they have been done often... but that's ok. They are projects that demonstrate important ideas and concepts, like photosynthesis and surface tension and air pressure. And then some of the ideas are quite creative, and different from what everybody else is showing at the science fair.